This was one of the best tv shows I’ve ever had the pleasure watching? I just can’t comprehend why they cancelled this awesome show, I almost peed my pants laughing at every episode, they just don’t have shows like this these days.. please bring the show back or one like this ……. I enjoyed immensely the antics of each and every one of the characters. I have 11 of them recorded and watch at least 2 a week. Strange, I never get tired of any of the shows. They are always funny. I kinda fell in love with Sabrina. And Maw. Too late to bring it back as the actors have moved on. Our loss. This show needs to come back!!! It is one of a kind show. Absolutely great! Looooooooved it. We need more feel good silly shows like this and less reality shows. World is way fake and serious lately. 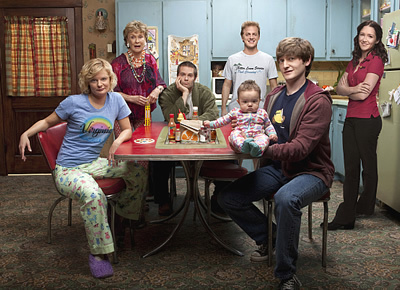 Bring Raising Hope back! Good family humor is hard to find.